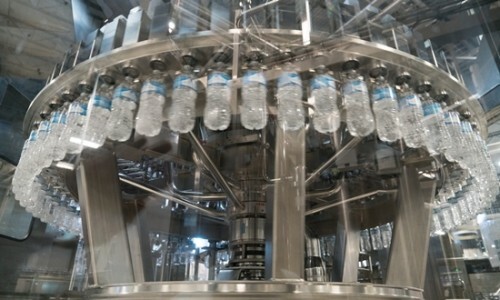 Californian water drink brand Niagara Bottling has recently upgraded its Salt Lake City facility with a Sidel complete PET line. The line features two Super Combis, equipped with the innovative and compact ground-level preform feeder, EasyFEED, along with Gebo Cermex conveying and end-of-line equipment. This investment has enabled the ambitious bottler to significantly increase its productivity through high-speed, efficient manu-facturing and high availability rates of the line. The PET bottled water market in the US is expected to grow by a CAGR (compound annual growth rate) of 3% year on year between 2016 and 2020, and the firm looked to Sidel for a new complete PET line to enlarge its production capacity to answer consumers’ demand. Starting point of the new complete line at Niagara’s plant is Sidel’s EasyFEED, an innovative, compact and safe ground-level preform feeder for PET lines. From the hopper, the preforms are lifted by an elevator column to only 2.5 metres. They are then sorted and vertically driven into the bowl of a rotary unscrambler. Positioned at the edge of a rotating table and supported by the neck flange, the preforms are moved onto a rail by a filtered airflow. Instead of traditional gravimetric infeed rails, the preforms are driven by two motorised, food-grade brush belts up to the infeed blowing wheel, contributing to keep the level of preform integrity very high. Bill Hall, executive vice president of manufacturing at Niagara Bottling, said the EasyFEED preform feeder ensures greater control over the production.